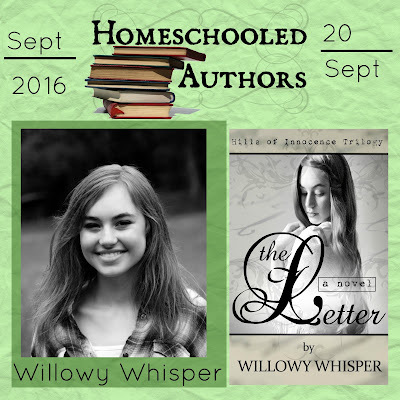 Willowy, welcome to Homeschool Authors! Tell us a little bit about yourself. I am a seventeen year old homeschooler, saved by the grace of God. I am also a passionate writer, a pianist, guitarist, photographer, cover designer, and incurable romantic. Willowy Whisper is my pen name. I am the author of six novels, five of which are published, and numerous short stories. Everyone’s homeschooling experience is different. What do you think made yours unique? Get up, eat, do the chores, then delve into school work. Nothing too unique about my homeschooling life, I'm afraid. I was taught grammar with an amazing curriculum (Analytical Grammar), and I'm quite positive I would never have survived the rules of writing had I not been taught so well. Also, having my teacher (my mother, of course) at home and available all the time helped immensely, because she was not only my cheerleader, but also my editor. I had a cousin who decided to write a novel. After hearing about it, I was intrigued and decided to do it myself. The Letter (Hills of Innocence #2) is my latest novel. I can't pin-point anything that really inspired me, however. As the letters keep coming, Brock Sumner watches his world shatter at his feet. Building a wall around his heart seemed like the only answer. Is there any other way to protect the woman he loves? Will the letters, perhaps, pull their lives together? Or will the killer find a way to destroy them all? Who will enjoy The Letter? The Letter (as well as The Innocent) would be enjoyable to anyone who enjoys mystery, western, romance, suspense/thriller, Christian, redemption, and of course, fiction. It is intended for ages 13 and up, but appropriate for all ages, although there is some violence and kissing. The Lord willing, I will never stop writing books. I am currently writing The Pursued (Hills of Innocence Trilogy #3). 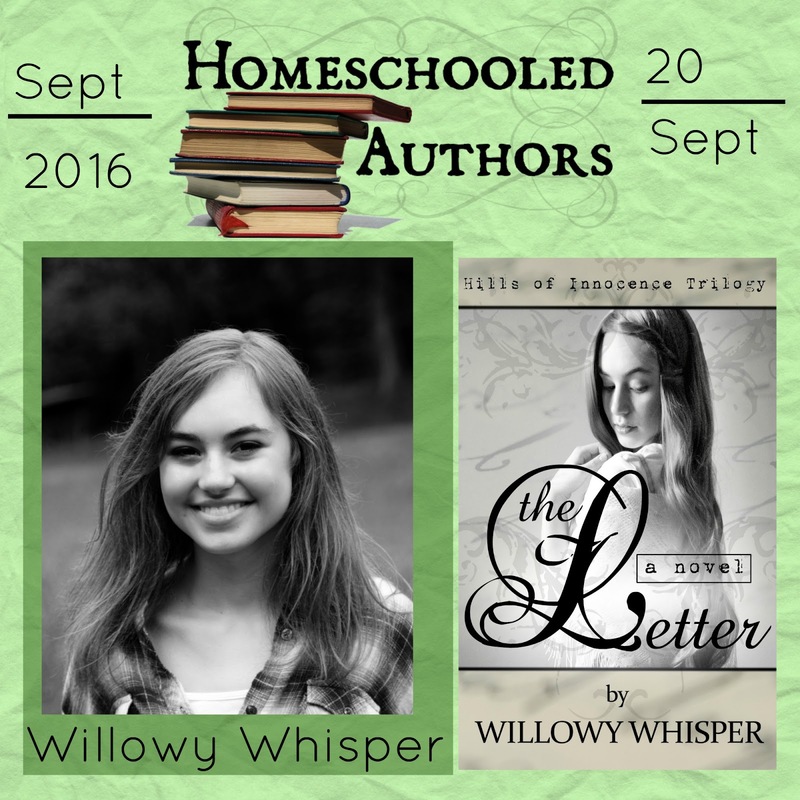 It is so nice to see so many other homeschool, Christian authors. Thank you for the interview.